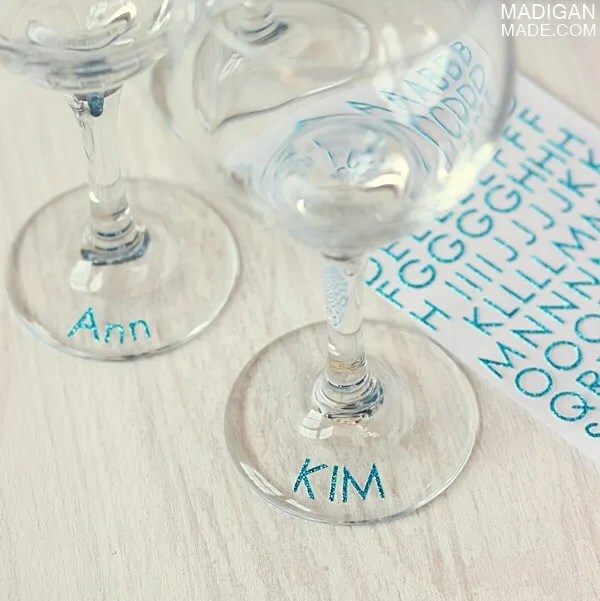 Madigan made… an easy and elegant way to claim your drink. Do you lose your beverage at parties? Me too. 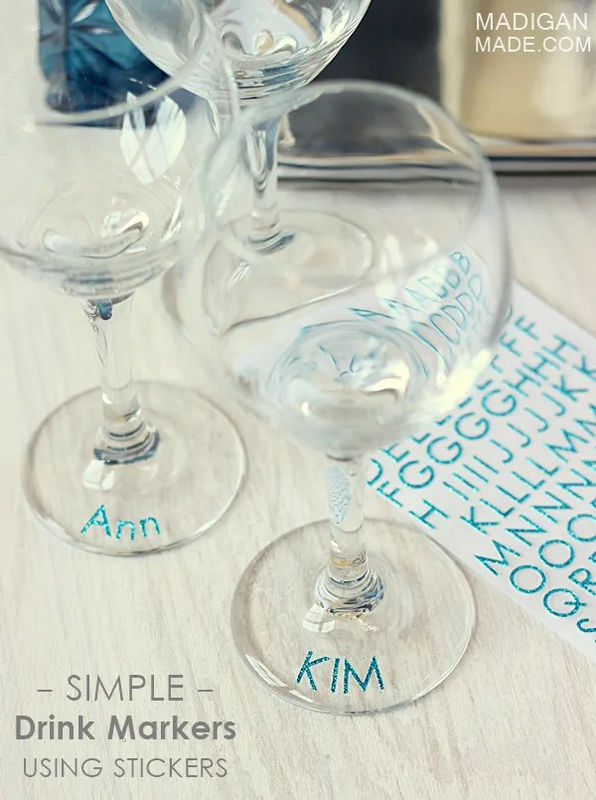 Well, if you don’t have wine charms or if you don’t want to paint your glasses with chalkboard paint, you can follow this simple and sparkly tip: use glitter stickers! I cannot take credit for this clever idea. I first saw this nifty trick at a bridal shower hosted by my Aunt M in Ohio. 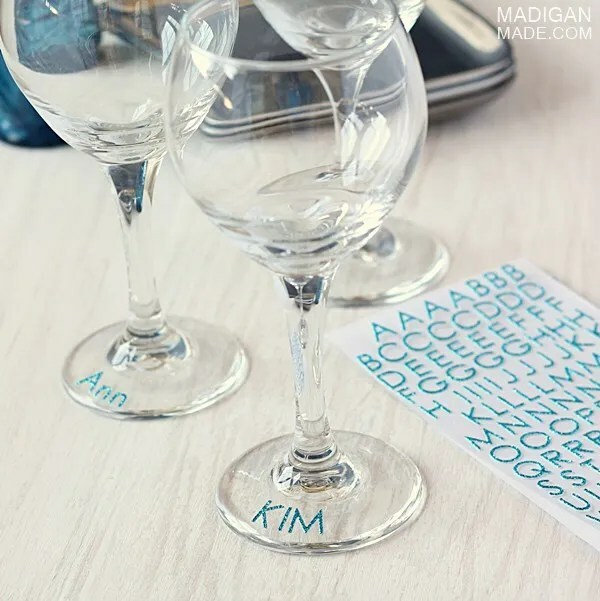 When she hosts a nice party like a baby shower, bridal shower or graduation party, she’ll set out fancy, 3-D alphabet stickers next to the beverage area for her guests to use. 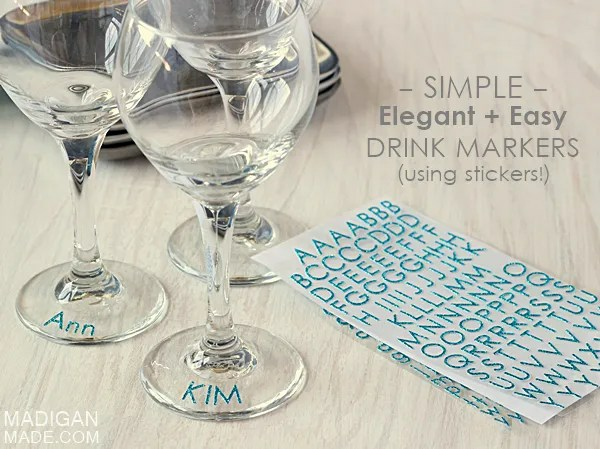 Guests can attach the stickers to disposable cups or to real glassware. A name, set of initials or a fun word… whatever they need to do to remember which drink was theirs. You can likely use any small, thick alphabet stickers for your next party… but really… isn’t glitter always the answer?